Great Product Free Spins on selected slots and prize Leaderboards give players a chance to boost their bankroll. Why Play at Paddy Power Casino? Paddy Power has for years offered a popular sportsbook for its UK and Irish customers. 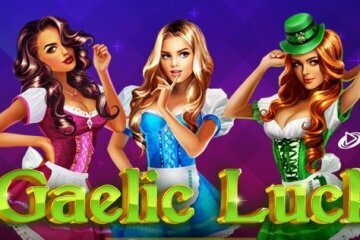 Now, its Playtech-dominated online and mobile casino sites are bringing in the slots, mobile games and table games fans as you’ll find out the the Paddy Power Casino review below. 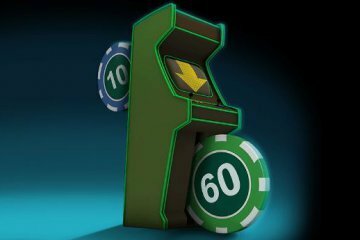 With such a dominant place in the gambling market, it’s no surprise to see that Paddy Power Casino offers hundreds of games, including massive progressive jackpots and a Live Casino. Luckily, whether you’re on Android or iOS there are enough games to keep you tapping away for months. The download iOS casino app is ideal for everything players need, and even Android 4.1+ users can have a cool no-download app to play at. And that goes for our tiny Samsung S3 Mini. The lobby is divided into Top Games, Promotions, and Rewards, with slots (inevitably) taking up most of the space. Irritatingly, many games can’t be tried for free on the mobile version before you log on. The new casino app makes it easier for players to opt-in to bonus promotions, and game loading times have been improved. Games can be played via 3G/4G or WiFi, and mobile users can enjoy exclusive promotions from time to time. Paddy Power customers have two welcome bonus offers to take advantage of. A straight deposit match bonus of £500 is available, spread over three deposits in the first month. While £500 sounds great, there’s a small catch: players can’t progress to the second deposit until they’ve cleared the first one. There’s a friendly wagering requirement of 20x the total bet amount, however, and slots contribute 100% towards the bonus. In addition, new players can earn a £5 free cash bonus, but players must verify their account first (see below). There’s a wagering requirement of 50x in order to win the money. Elsewhere, Free Spins on selected slots and prize Leaderboards give players the chance to boost their bankroll. At time of writing, the €10,000 Cash Leaderboard awards players 1 point for every €1 staked on casino games. Anyone in the top 200 at the end of the promo wins a cash prize. PaddyPower currently offers a download app for iOS users, available from iTunes. The app comes loaded with over 270 slots, blackjack and roulette. Android users, while enjoying a solid sports app, must settle for no-download games via their tablets or Samsung smartphones. Age verification must be done with a mobile account, but that involves sending photo ID like a passport or driving license plus a utility bill. Documents must be sent via a desktop machine. 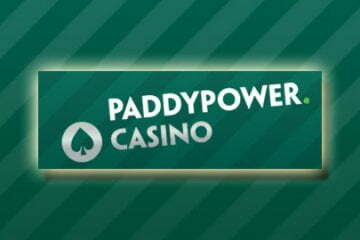 Paddy Power Casino customers have a typically solid range of payment methods open, including VISA, MasterCard, and Skrill. Payments are fast, and UK customers are saved from any fees. Email support is good, with an online form taking around two hours to get a response. Better still, phone support is open 24 hours a day to UK and Irish customers and is totally free. With updated apps and hundreds of top Playtech slots, there are some great reasons to play at Paddy Power Casino. Even Android 4.1 customers can enjoy a solid and user-friendly instant-play app via their smartphones and tablets. Take advantage today with an exclusive mobile bonus when you make a first real-money deposit.